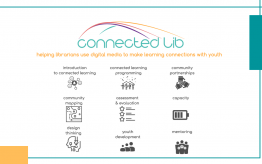 As the eighth and final Digital Media and Learning Conference came to a close last week, its organizers announced the creation of a new annual event — the Connected Learning Summit — that will debut next summer at the MIT Media Lab. 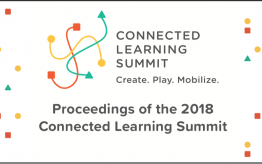 The summit, to be held Aug. 1-3, will be hosted by the Connected Learning Lab from the University of California, Irvine, the UC Humanities Research Institute, the MIT Media Lab and MIT Scheller Teacher Education Program. It will take place at the MIT campus every other year beginning in 2018 and every year in between at the UCI campus. 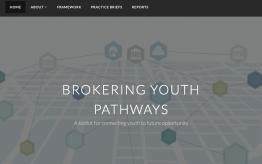 Some of those committed people are serving on the summit’s steering and advisory committee: Ito, Drew Davidson, Samuel E. Dyson, David Theo Goldberg, Eric Klopfer, Akili Lee, Scot Osterweil, Justin Reich, Mitch Resnick, Ricarose Roque and Constance Steinkuehler. The online call for proposals to present at the summit will be open from Nov. 10 through Jan. 5. Summit news aside, the final DML conference, held at UCI last week featured some provocative talks, inspiring attendees to explore ways to make the best of the digital world and how civic engagement fits in. “At a time when we are increasingly faced with serious social challenges — of living together in dignified ways, of electoral meddling and fake news, of changes in what work we do and how we work, of health care provision, of climate change and climatic challenges, racial aggression and violence — learning with and through others is crucial to our social futures,” said David Theo Goldberg, director of the University of California Humanities Research Institute and executive director of the DML Research Hub, which organized the DML Conference. If you weren’t among the nearly 400 conference-goers, the keynote address, plenary discussions and ignite talks are available online.